but not really though, right? Who amongst us hasn't looked toward the paved banks in a parking lot and thought, "I could get air off of that." Or looked at unused DOT land near and under bridges with an urge to ride it? Or looked to a parking garage, construction site, or expansive parking lot as a playground? Well, this is a forum for us! Write about the riding in the city you live in or in cities you visit. I've got a supermoto wheel setup for it, but it's currently got it's dirt wheels and rubber on. It's got mods galore, most of which were already done when I bought it this year. I'm in the process of painting it, mostly white. That's it for now, welcome everybody! Come on in and make yourself comfortable. Then get out there and ride! Re: My name is Andy, and I'm an urban dirtbiker. Yo! My name is Omar, and I too ride dirtbikes in an urban setting. 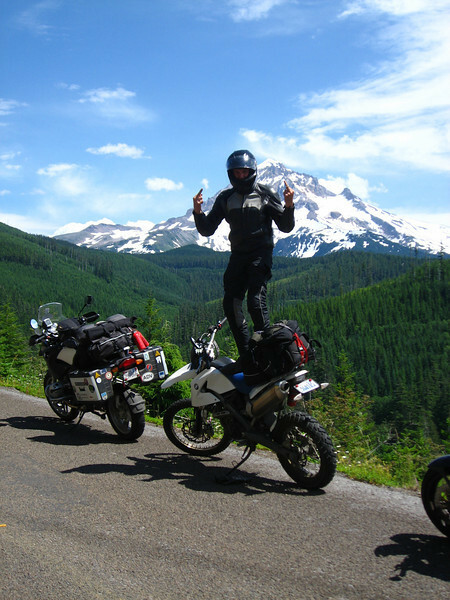 I live in Seattle, and currently own a BMW G650 X-Challange. I have been riding for over 10 years now, and have owned 16 bikes or so over the years. Here is a few pic's of my old XR650. I had a cast on my right hand in that pic. This is my current ride. 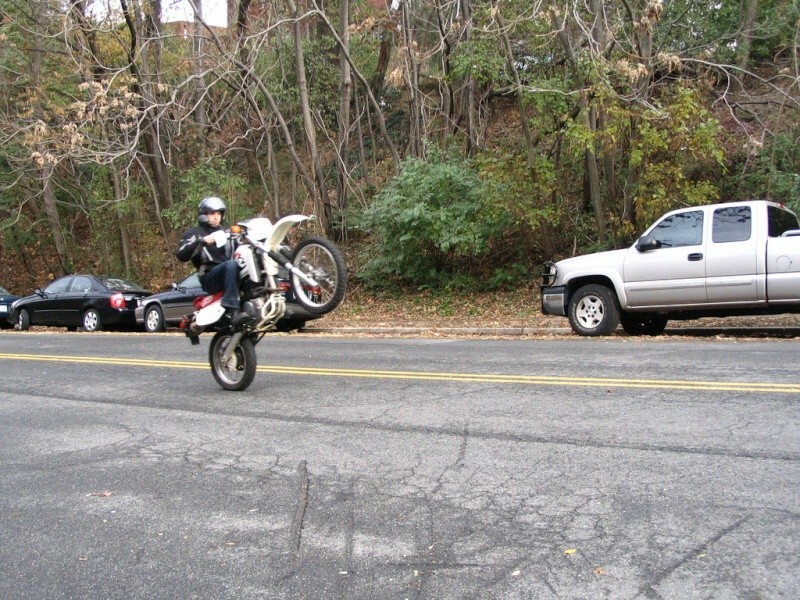 Doing wheelies with a cast on is either very brave or very dumb. And it is also awesome! Let's hit the streets soon. 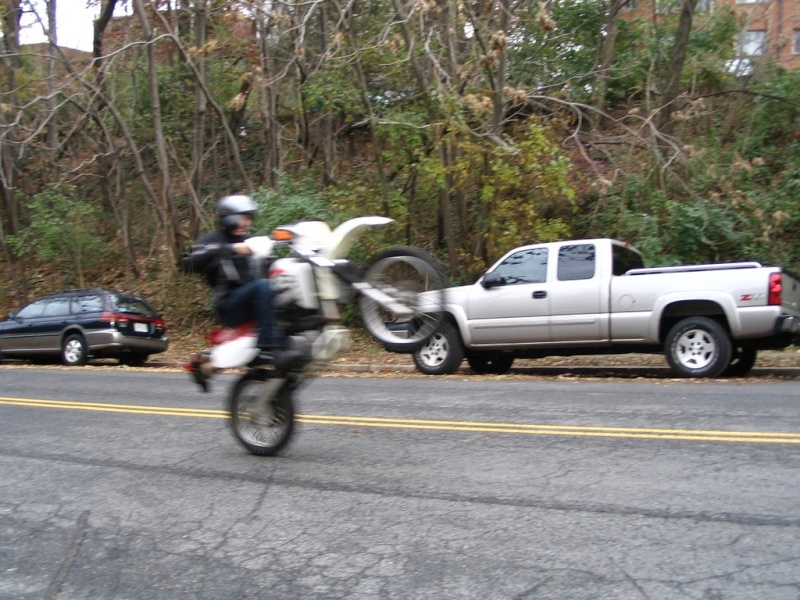 next thing is to swap the wheels with my Excel supermoto setup with fresh Pilot Powers. Did some stairs and ledges the other night, pics soon! Andy, do you have sm wheelset for it? I do, some 17" excels are getting some fresh michelin pilot powers in the next few days...then throwing that 320 mm braking rotor on the front and a 45 tooth sprocket on the back (52 on there right now). I can't wait, I've been looking forward to running the SM setup! Nice, D! Is that track inside a barn or something? Looks like fun. More pics!